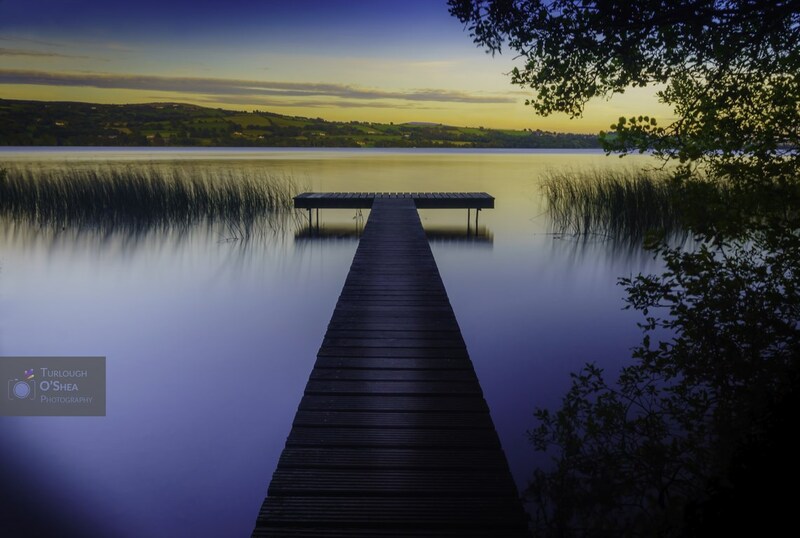 Lough Derg is one of the three lakes on the River Shannon. It is surrounded by Clare, Tipperary and Galway. This picture is looking back towards Ballina/Killaloe at sunset using an ND filter.